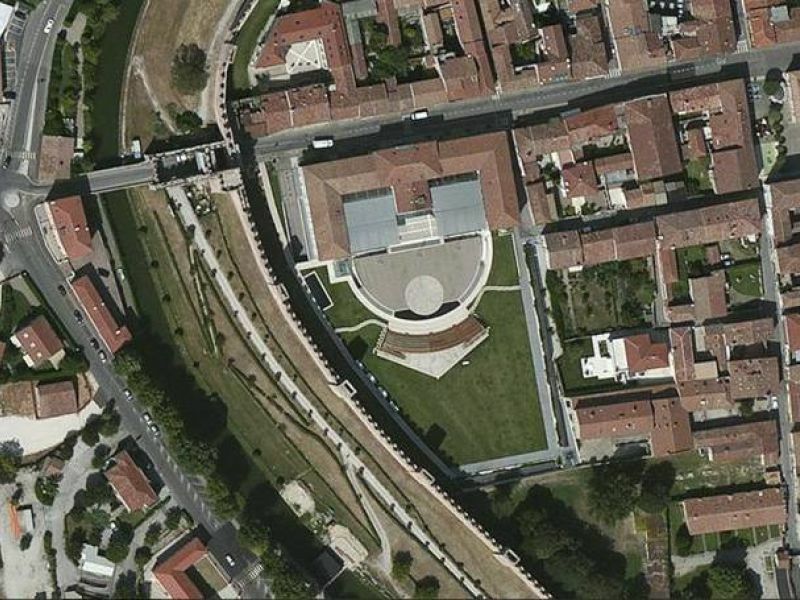 Parking houses are rarely buildings to feast your eyes on, but in Padua, Italy, we might just have the exception. 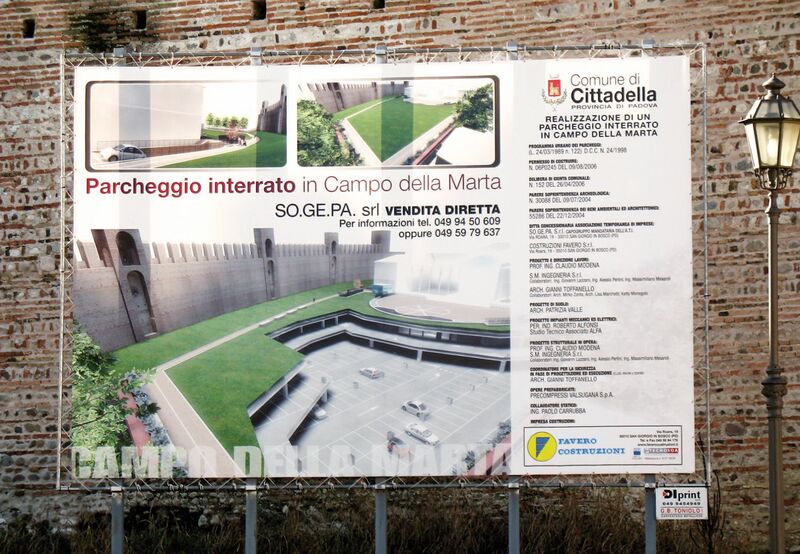 A large parking house is being built partly inside and partly adjacent to an old citadel (Cittadella) with walls that form one of the best conserved medieval military structures in Europe. Here history meets modern technology in mutual reverence. 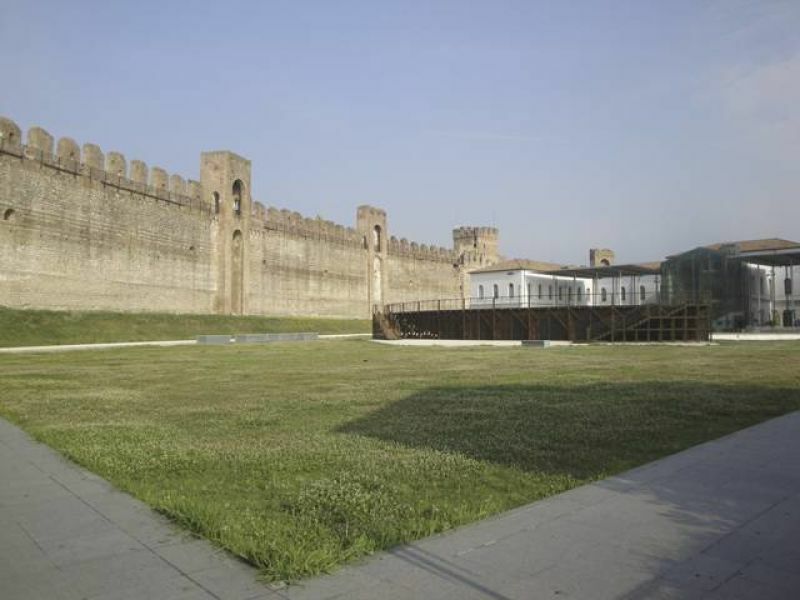 The Cittadella was built in 1220 by the Council of Padua to guard the territory against external attacks. It was built in a polygonal shape on a perpendicular axis with impressive walls surrounding the town, capped by some 32 turrets that have remained almost intact to date. 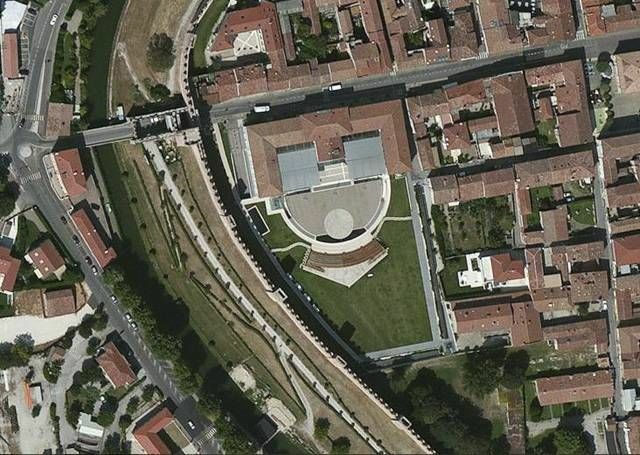 The town walls have a circumference of 1461 meters and a diameter of 450 m. The four gates correspond approximately to the 4 points of the compass. 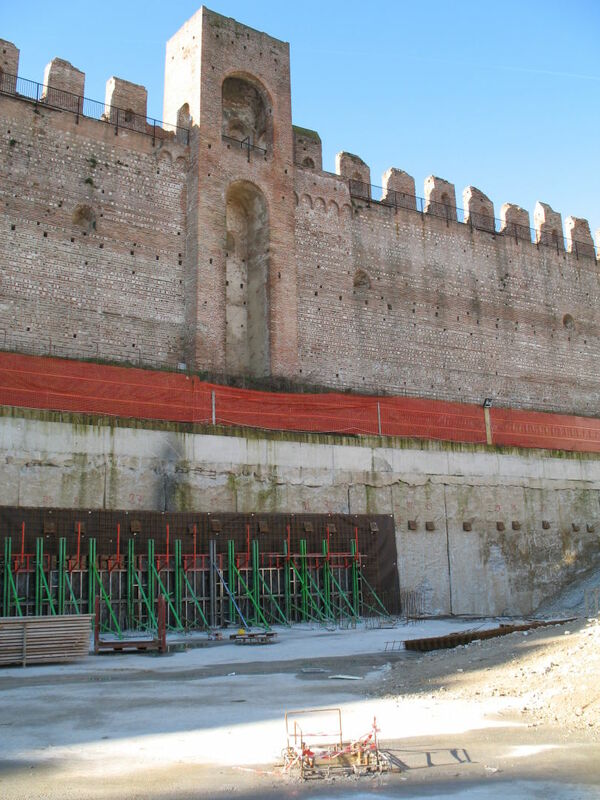 The walls also comprise 12 towers and 16 turrets (torresini) with various heights. Along the whole length of the walls are 32 sections with 10 Guelf merlons. The parapet walk is some 12 meters higher than the surrounding land and on average the walls are just over 2 meters thick. 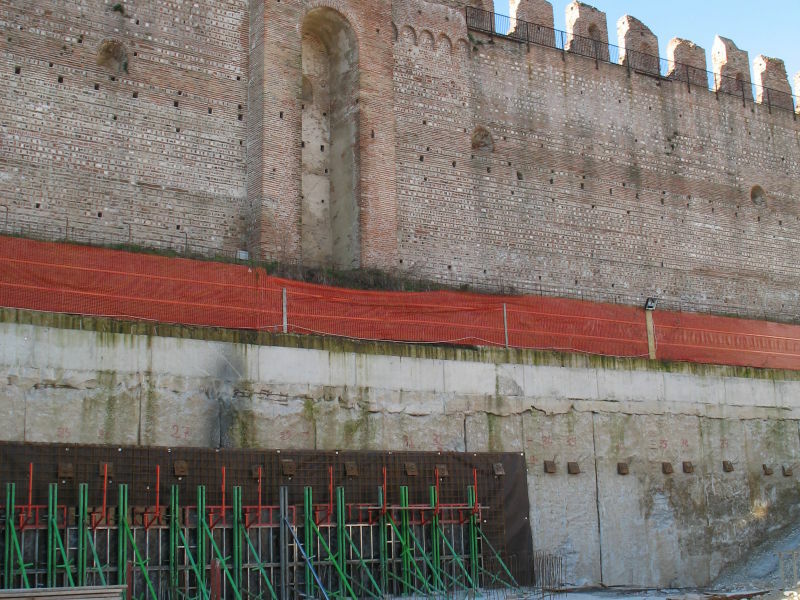 The walls are built as "muratura a cassetta", which means that there are two parallel external layers filled inside with stones and hydrated lime. Very close to the walls and just inside, it was decided to build a new parking house with two levels underground for some 342 places. 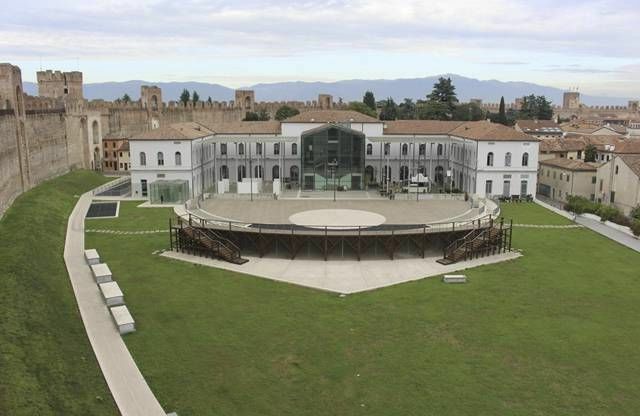 The structure is made with precast concrete elements based on a raft foundation cast on-site. 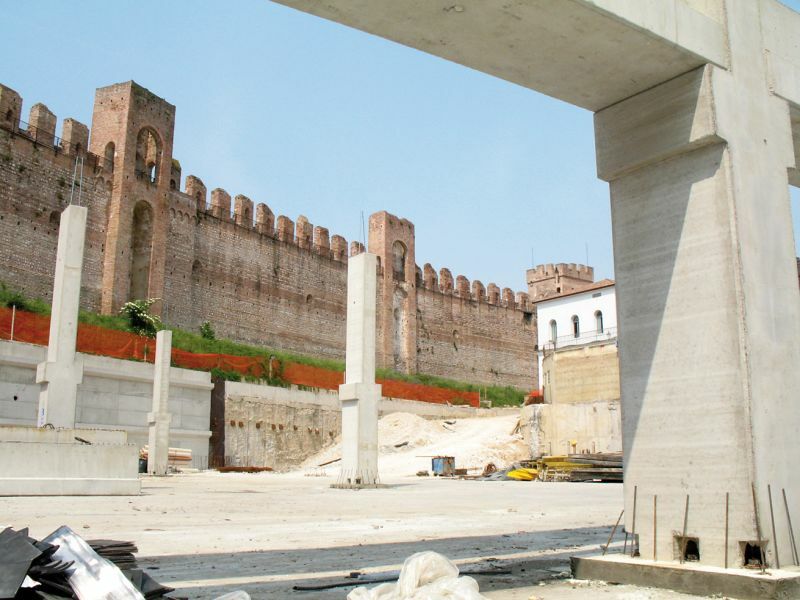 The project had a major requirement: the height of the foundation must be reduced in order to lessen interference with the old walls of the Cittadella. 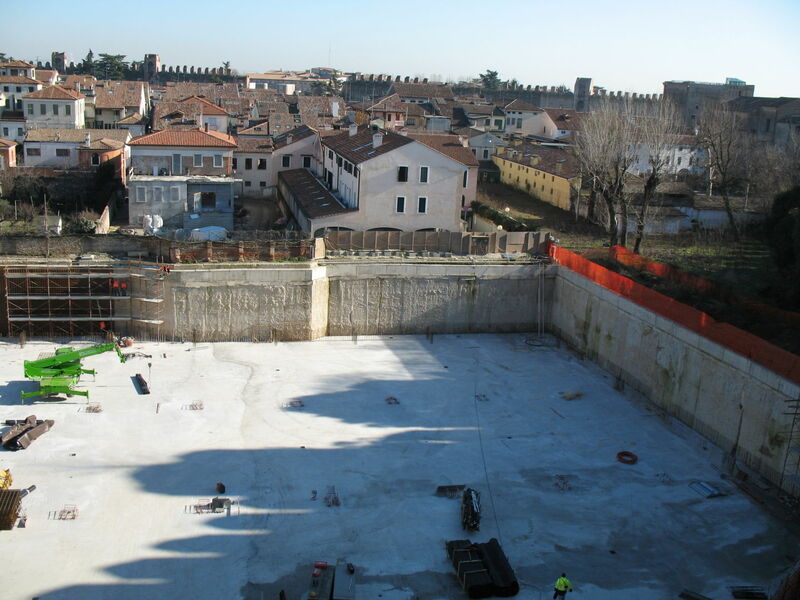 For this reason the construction company, La Nuova Precompressi Valsugana, decided to use Peikko connections for the column foundation. The 32 columns of the parking house were connected to the foundation with Peikko standard products HPM® 30 anchor bolts and HPKM® 30 column shoes. The anchor bolts HPM® 30 P (bent) enable a very thin foundation of only 60 cm! 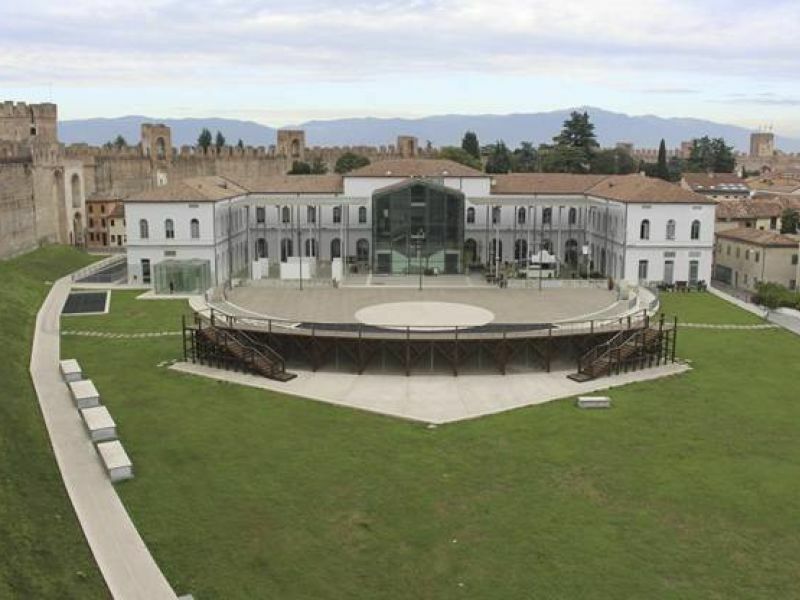 Mr. Pluchino of Precompressi Valsugana says they always use Peikko connections in similar situations, when new buildings are close to existing ones and the thickness of the foundations needs to be reduced. 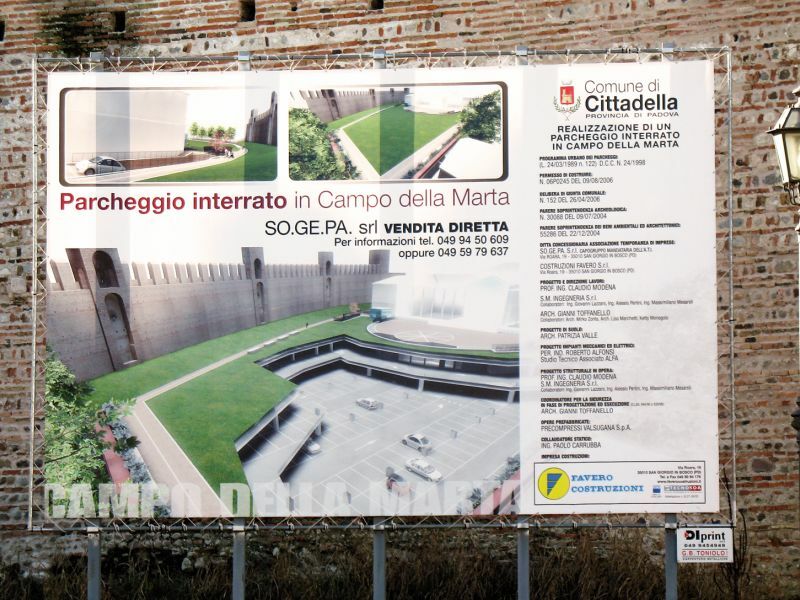 A wonderful example of defensive architecture, the Cittadella's walls form one of the best conserved medieval military structures in Europe. The walls were built as "muratura a cassetta", which means that there are two parallel external layers filled with stones and hydrated lime. When finished, the close-by parking house will have two underground levels for around 342 cars. Before authorising the build of the parking house, the subsoil of the area was investigated carefully to check if there were old buildings to be saved. La Nuova Precompressi Valsugana decided to use Peikko connections in the parking house to reduce the thickness of the foundations because of ground water and the old walls being quite close to the parking house.